The Order of Canada was established in 1967 as part of Canada’s centennial celebration. It was to be a native equivalent of the various British orders of merit, in particular the Order of the British Empire. If you’re interested, see my friend Chris McCreery’s book for more. 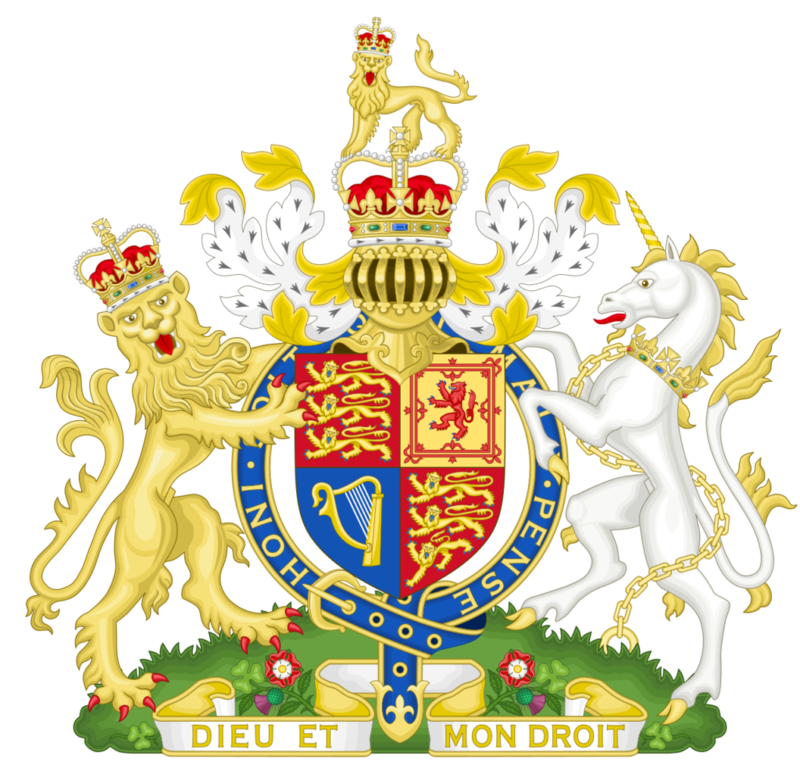 Coat of arms of HM the Queen in right of the United Kingdom. As the Queen is sovereign of the Order of the Garter, the Garter, bearing the motto “Honi Soit Qui Mal Y Pense,” encircles her shield. 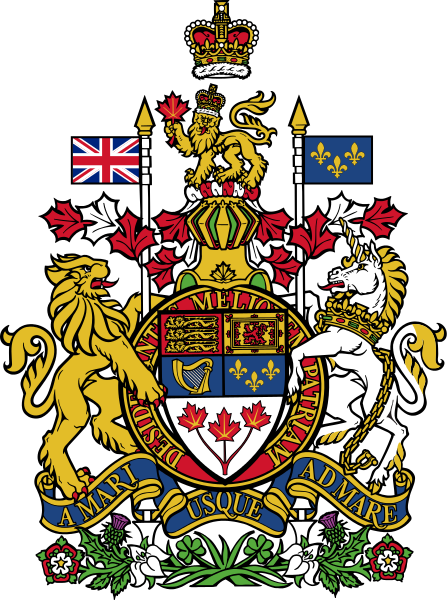 Coat of arms of HM the Queen in right of Canada. Note motto-circlet bearing “Desiderantes Meliorem Patriam” around the shield. “Meliorem” picks up on “patriam” from two verses earlier, but look at the verb: appeto -ere, meaning “to make for, grasp at, seek, (of places) to make for or go to,” not desidero -are, which means “to long for what is absent or lost, to wish for; to miss, find a lack of.” I guess the word “desiderata” (things desired) also fits in this sense, because you don’t have those things yet. So members of the Order are desiring a country that doesn’t yet exist, or once existed but does not anymore? Surely this is not what the government wants to imply! Should we therefore introduce a resolution to the House of Commons changing the Order’s motto to “Appetentes meliorem patriam,” implying that members are seeking a better country, even though the one they have is still pretty good – and also making the motto congruent with a biblical source? I have enough experience with making these sorts of suggestions to know what the answer would be… still, one can always dream…. This entry was posted in Canada, Heraldry by jgood. Bookmark the permalink.